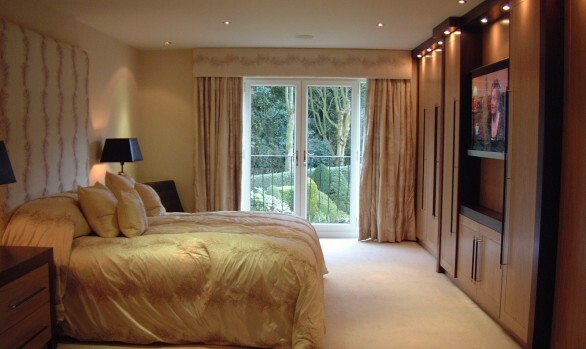 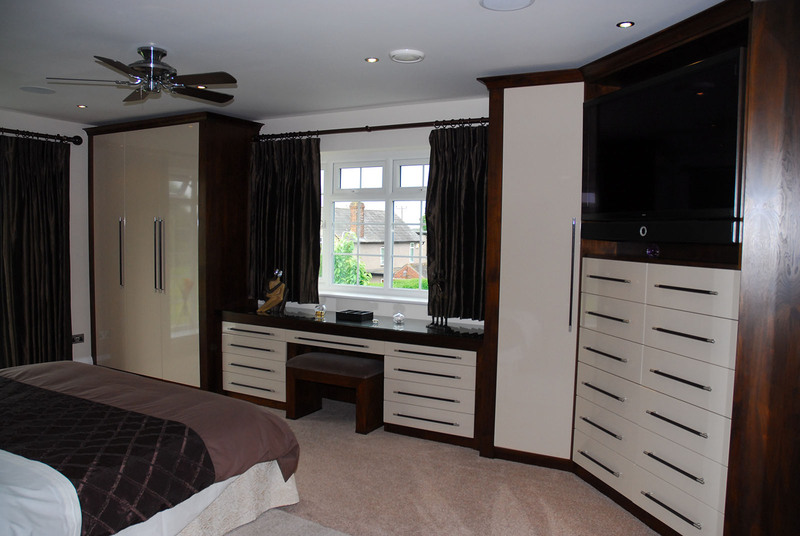 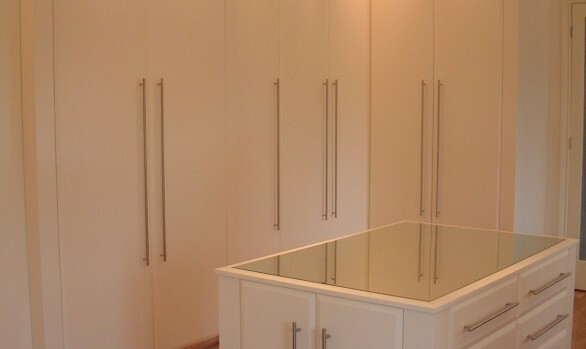 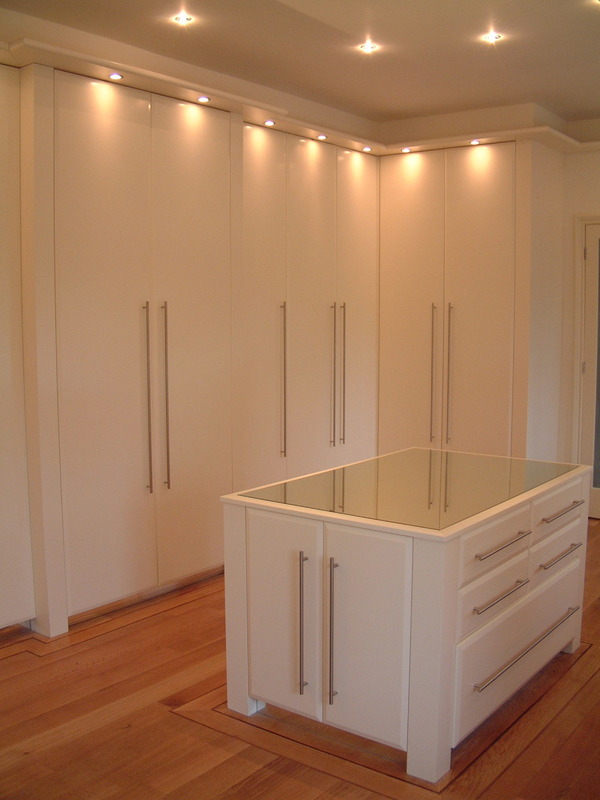 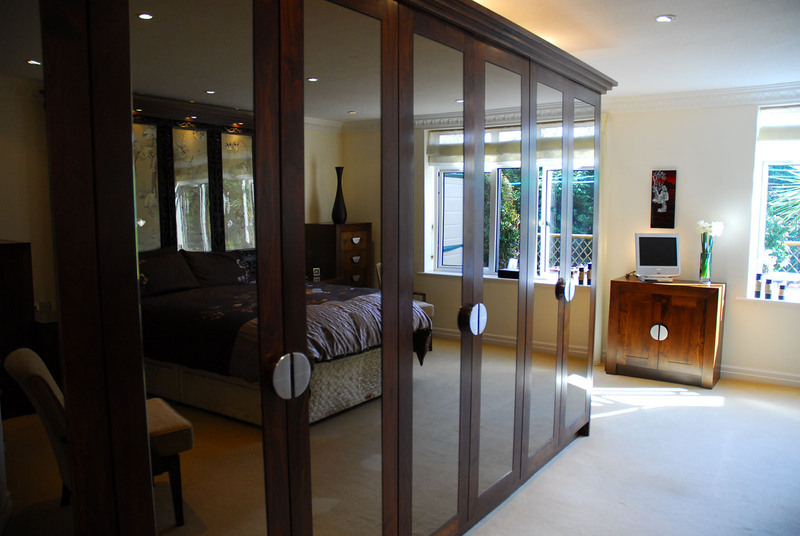 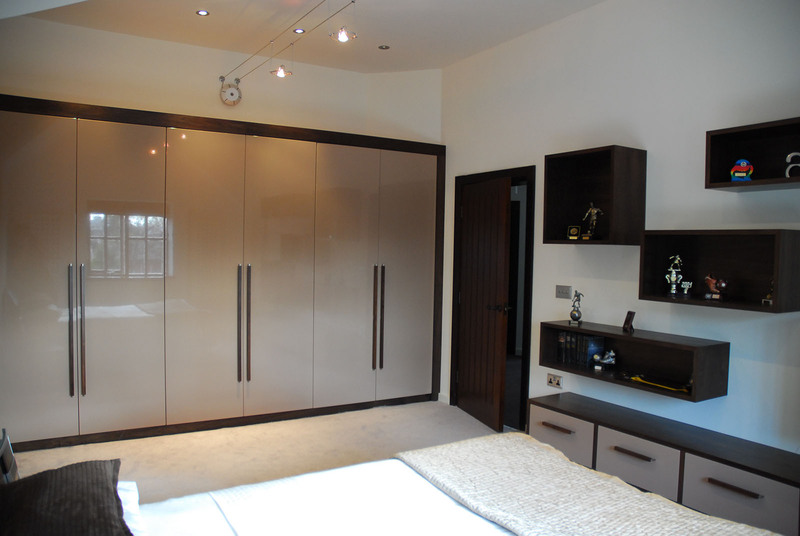 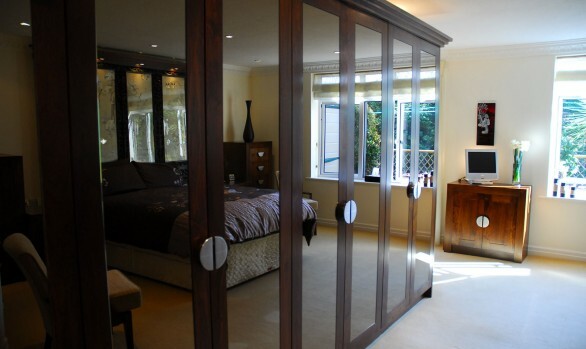 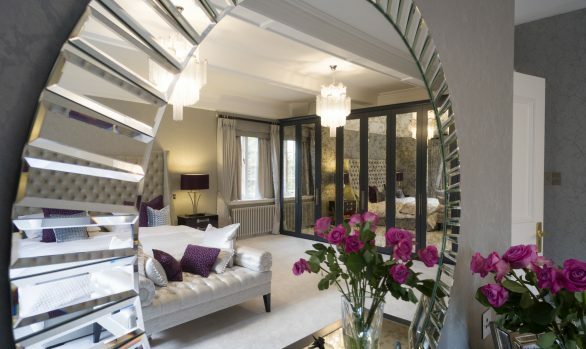 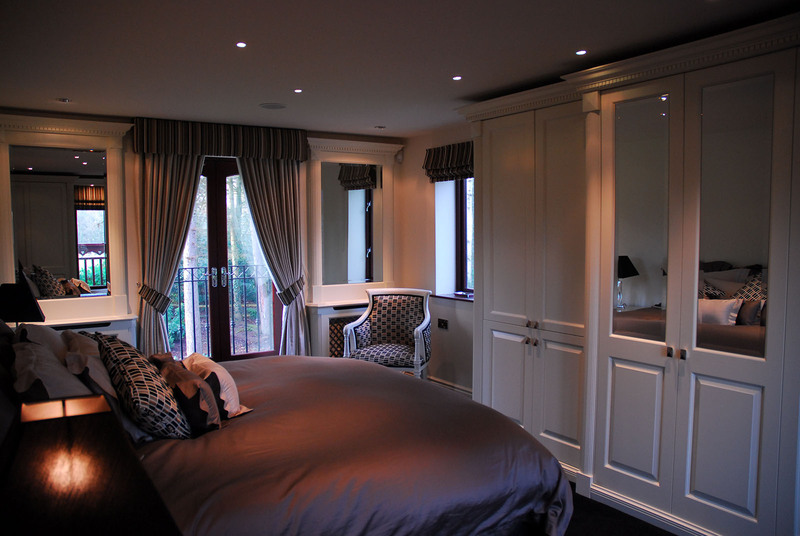 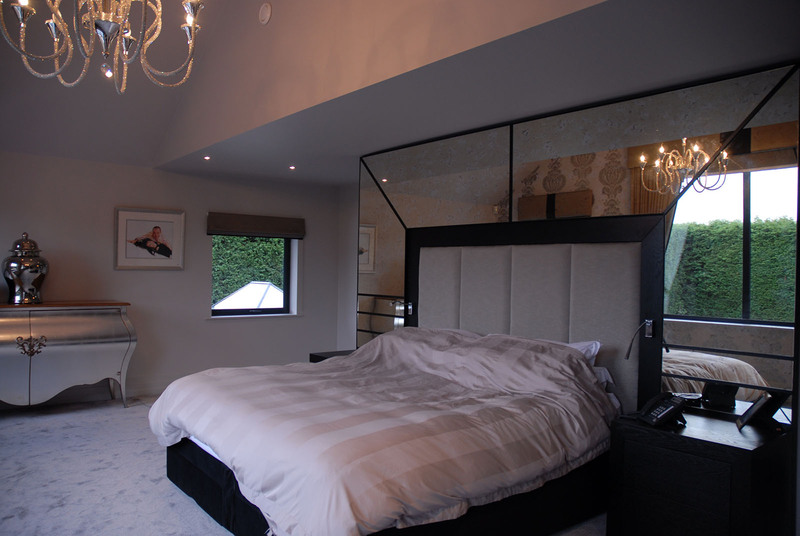 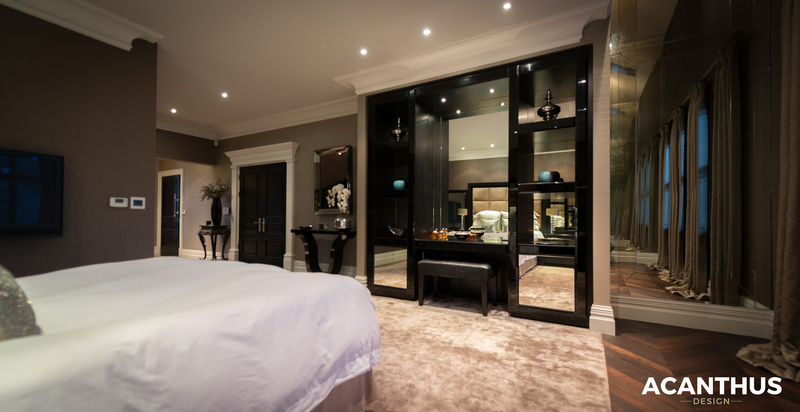 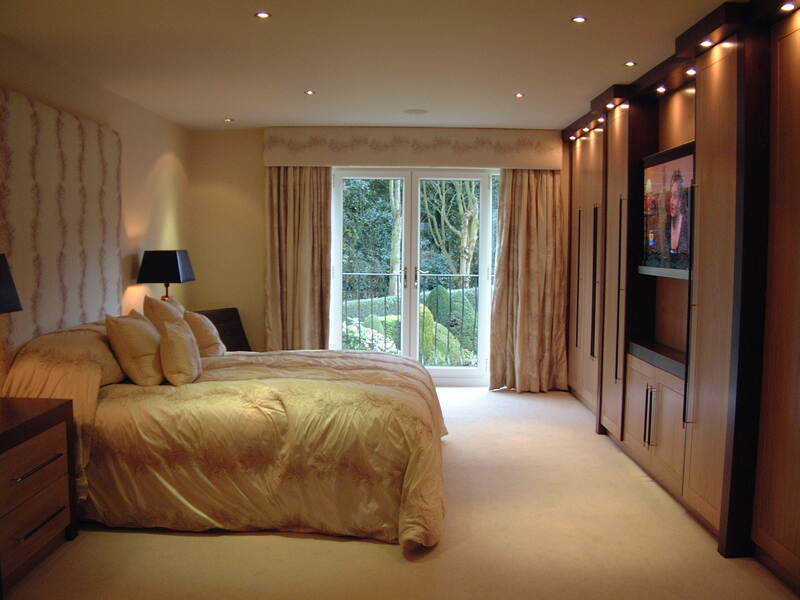 Designed To Create A Minimal Look While Retaining A Practical Dressing Area, The Zen Bedroom Creates A Luxury Look & Feel. 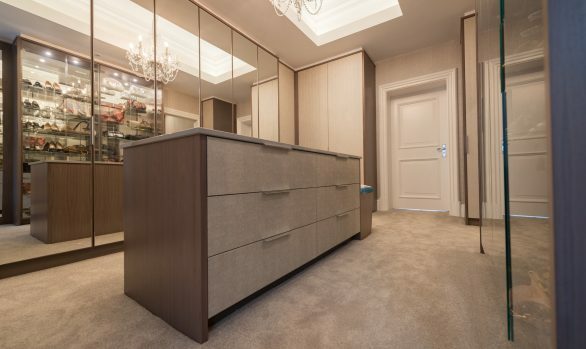 The Black Dressing Table & Open Display Cabinet Has Been Finished In Both Silver And Black Mirror & Incorporates Handless Drawers Concealed Behind The Black Bevelled Edge Mirror Keeping Clean Lines & Maintaining Practicality. 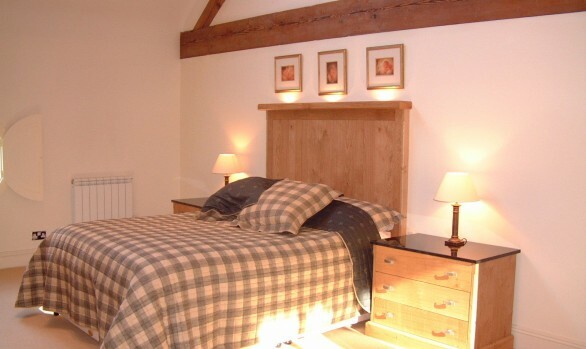 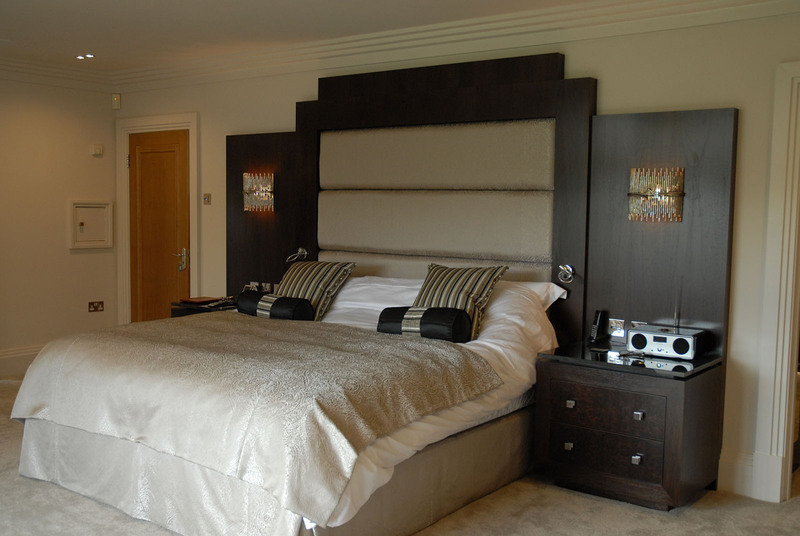 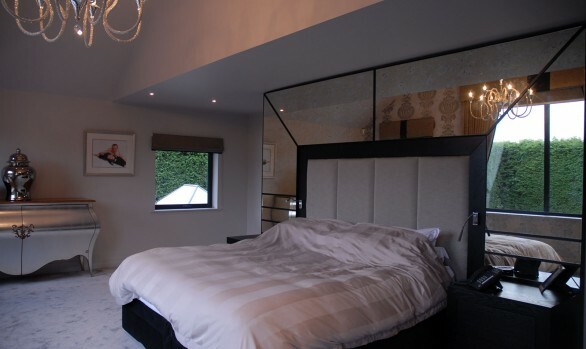 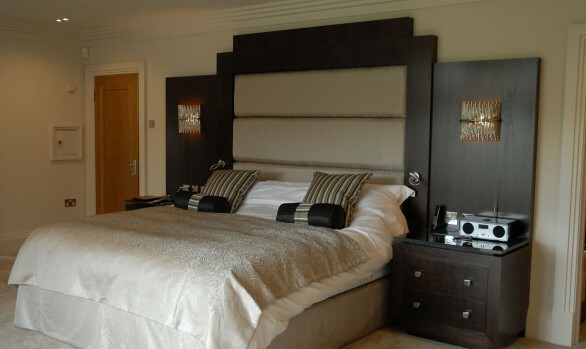 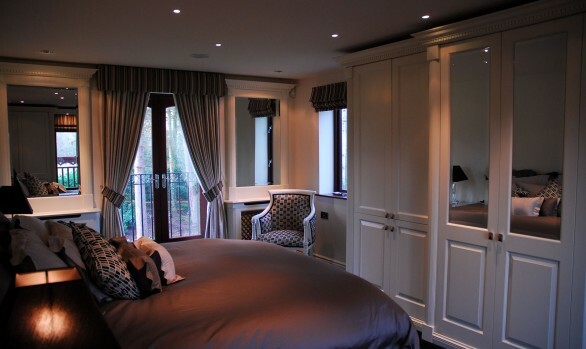 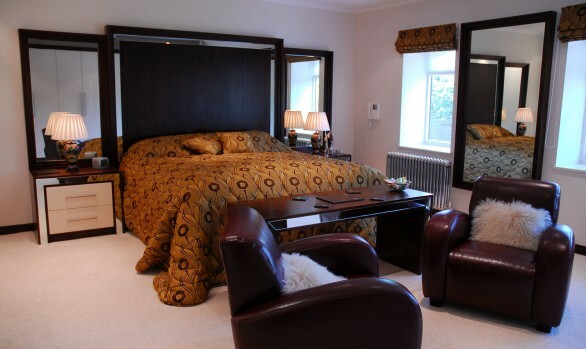 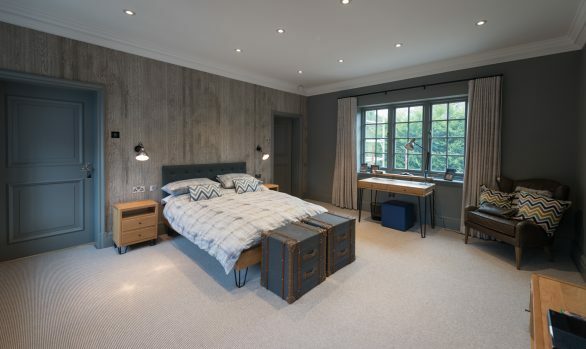 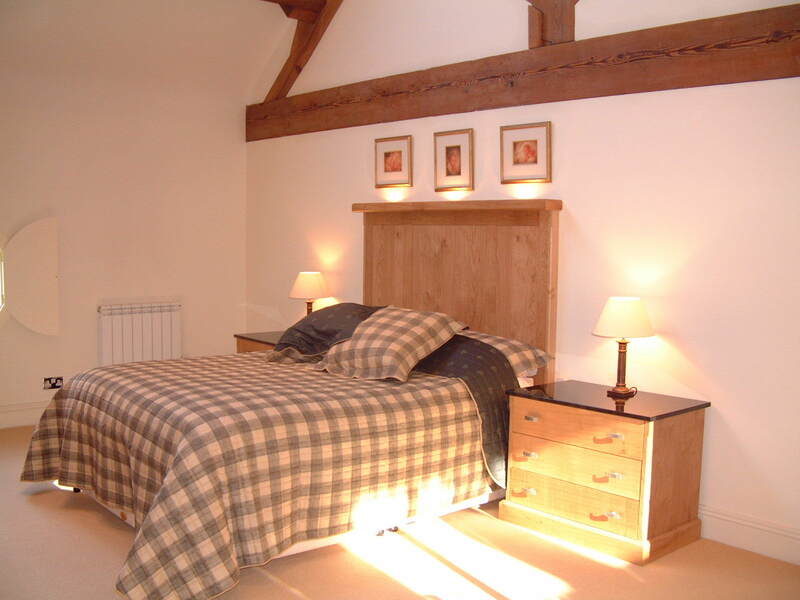 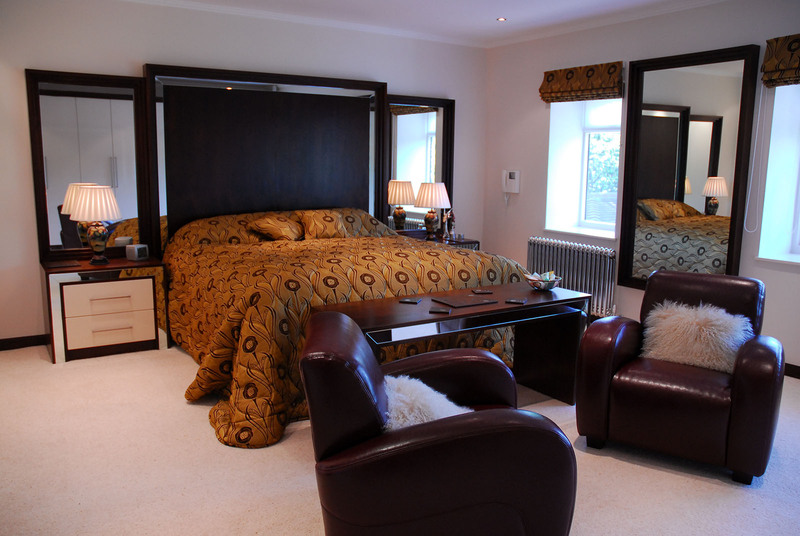 The Headboard, Matching Bedsides & Mirrors Have Been Produced In Oak Veneers & Finished With A Painted Black Finish Retaining The Grain But With A Smooth Spray Finish. 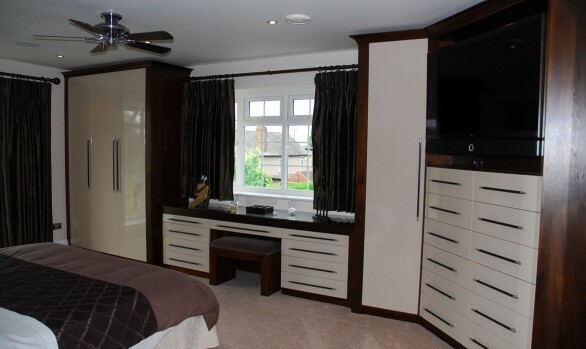 The Bedroom Has A Walk In Dressing Area Continuing The Theme Right Through, For More Images Of The Dressing Room Please Click Here!